Unlike its very hot and dry predecessor, the 2017 harvesting season experienced good high temperatures with no off the scale heat. Cool nights and a light rainfall in early December allowed for disease free grapes with excellent flavours and acidity. The yield was also up by 15% on the previous year, with no drop in quality of the grapes. The grapes for the De Grendel Koetshuis Sauvignon Blanc 2015 are specially chosen from vineyards in Lutouw, Darling and De Grendel. 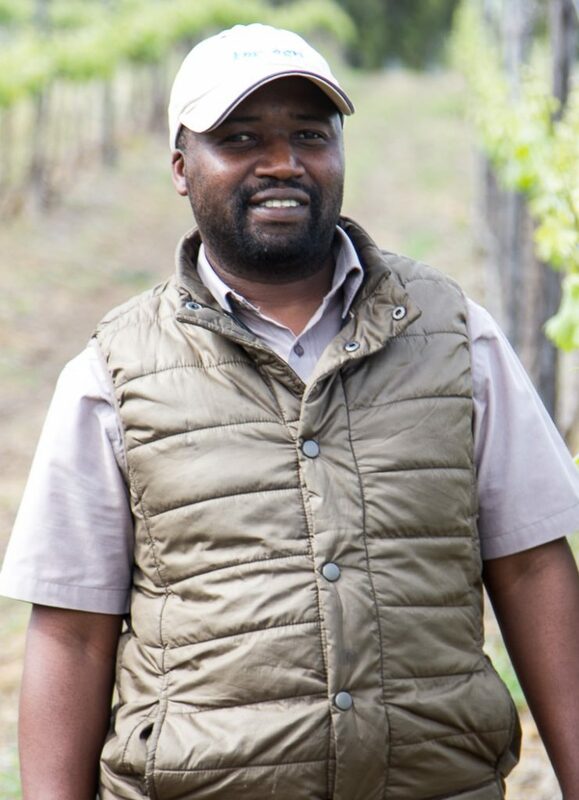 The vineyards are looked after by De Grendel Viticulturist Kudzai Mwerenga and ensures brilliant fruit concentration. 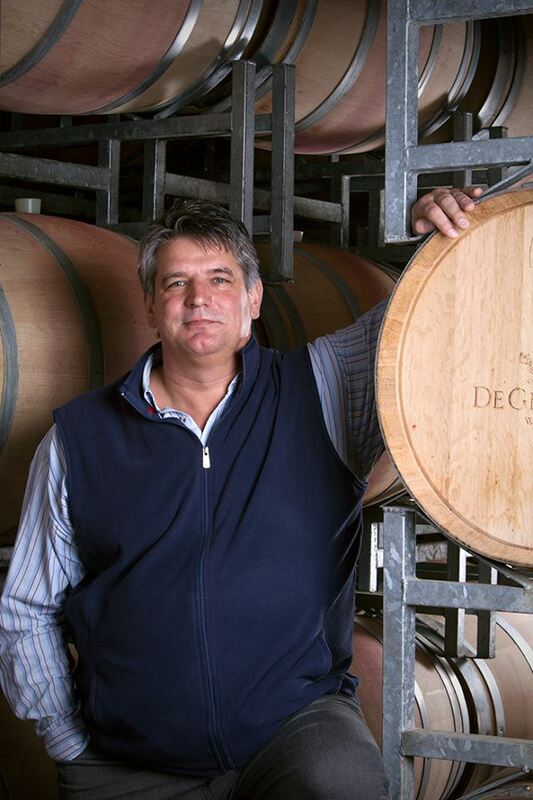 Harvested and vinified separately for later blending, the grapes came to the De Grendel Cellar, were destalked and then allowed extended skin contact before being taken to fermentation in stainless steel tanks. 11% of the grapes were taken to a mix of French and Romanian Oak barrels. The wine was then matured on its fine lees for about three months with weekly stirring which builds up the mid palate and creates a wonderful creaminess in the final wine. The various components were then blended and the wine prepared for bottling. Bottled under superior screw cap in a Burgundy shaped bottle. In the glass, it is a gem bright pale gold with lime green flashes. White tropical flowers, fresh slice pear and green apples. The characteristic green aromas of fresh scrunched herbs, and green peas are supported by a river stone minerality. Generous citrus in the form of sweet tropical limes and pink grapefruit skin oil. Green figs, fynbos herbaceousness. Brilliant bright acidity, and minerally on the long and gently waning tail. Lovely as a refreshing glass on its own or as an aperitif before a meal. It is made for food. And Ian Bergh, the Executive Chef at De Grendel Restaurant has a number of dishes on his menu which are perfect matches. 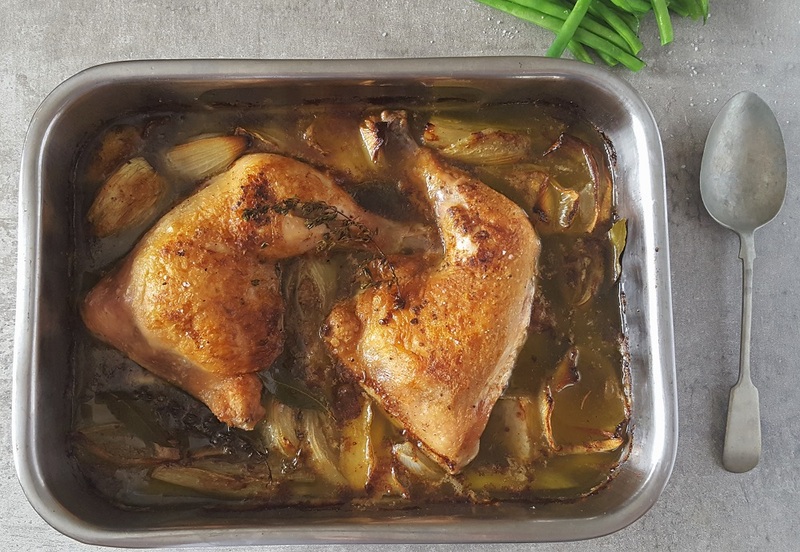 Carey Boucher Erasmus’s Confit Chicken with Fennel, Thyme & Lemon is a great match. Click here for her recipe.